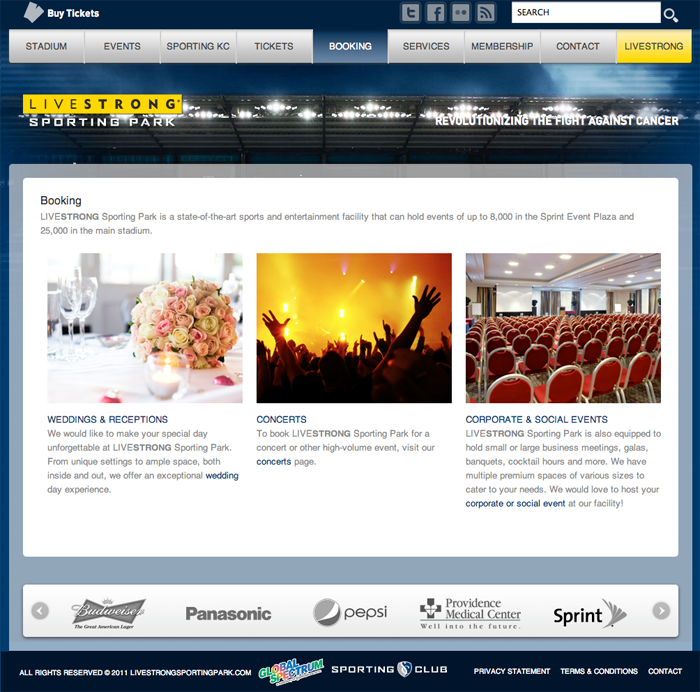 Following Sporting Kansas City’s new stadium naming announcement, we were hired to design and develop the corporate site for Global Spectrum, who managed Sporting Park for all events at the time. 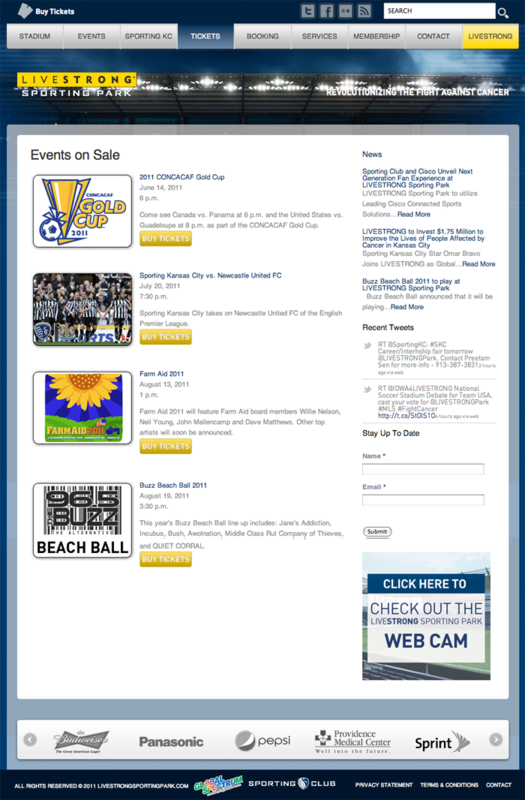 This is a WordPress site with some special added features like Twitter search, Facebook integration, event booking integration and a feature slider that allows them to place links for tickets and more details within the featured selection. 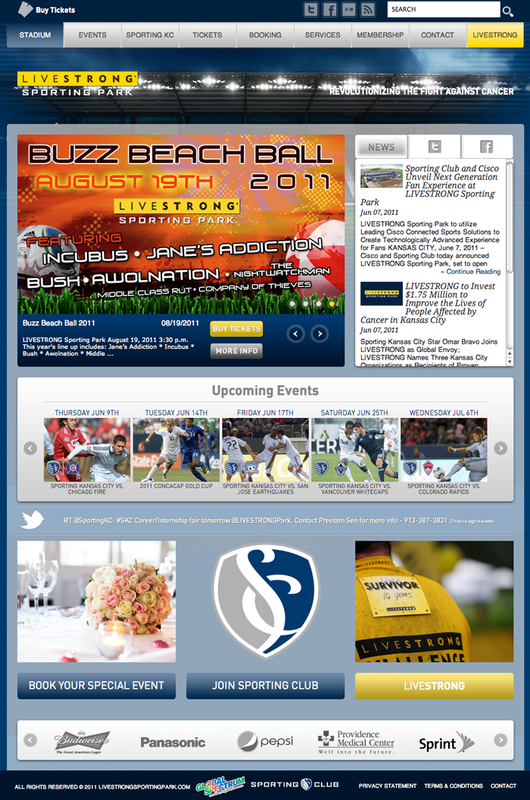 The site was built to allow users to select from different skinning options so they can select from different picture backdrops, and uses large-scale photography with transparency and floating elements so the backgrounds are semi-visible.